“It’s beginning to look a lot like Christmas; Soon the bells will start, And the thing that will make them ring, Is the carol that you sing, Right within your heart.” Meredith Willson. Well, seeing joy and laughter register on the face of your loved one is a rewarding experience right? As the Christmas season approaches, you won’t have to let your family down. There are some simple ideas on how to use different materials as well as custom standup pouches to wrap Christmas gifts the way you want in an absolutely creative way. 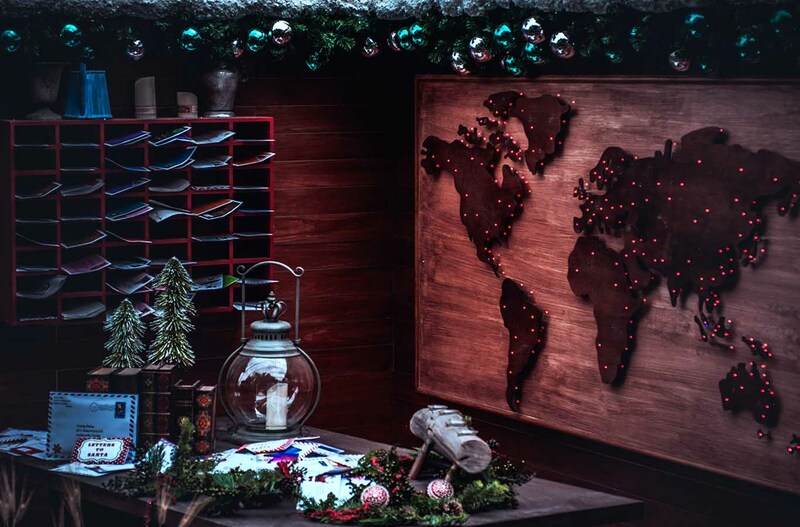 If you’re going to spice things up for your loved ones, below are some options that take your gift wrapping game way too higher this Christmas. You can transform your custom standup pouches into a fantastic gift pretty simple. A fanciful fabric is both eco-friendly to use fabric, and also translates to two gifts in one, if for instance, you use tea towels or a vintage scarf. All you need is to beautifully secure the ends, tie them in a simple knot or secure them with a cute pin, button, or pretty ribbon to give the package an irresistible special touch. Additionally, you can add a personal element to your Christmas gifts by wrapping small favor boxes in monogrammed cloth napkins or vintage fabric scraps. There’s just something fun about using duct tape in wrapping holiday gifts especially if you make a careful selection of the bright and colorful patterns. Duct tapes have been all-silver, all-the-time. But these days, they come in a wide range of beautiful colors. Some of its patterns instantly transform a stand-up pouch into an excellent one gift wrapper. Whether you like or not, that melted crayons could make such a beautiful gift wrapper! Fortunately for us all, this is a super simple idea that anyone can use for a memorable event of a lifetime. You never have an idea of how our sisters love colors. You should get to know her favorite colors beforehand, then craft the most creative gift wrapping just for her. There’s nothing that makes happy than a holiday gift featuring owners name on it, or better yet, statements of things they fancy. You may do it yourself-it’s way too simple or try to get a graphic designer to come up with a Christmas gift print on your gift wrapper. You can imagine your friend’s unboxing experience! “But what do I print,?” you ask. Well, you should print what will tickle your friend. Why not print a favorite Christmas song in a beautiful font? Or their photo doing what they love during Christmas? The possibilities here are endless! Make your loved one’s jingle with joy this Christmas by attaching delightful jingle bells. You can fasten tiny bells to your stand up pouches using a color of string that complements your paper. You are sure the overall joy of the sound and colors will catch their eyes while adding some extra joy to their Christmas season. Nothing creates instant holiday cheer like a beautifully wrapped gift. You can add a cheerful vibe to your friend’s Christmas season by adding some fauna to flora. Search out gift-worthy greenery in your backyard, the woods or your favorite park. However, please note that if you’re playing by the rules, be sure to follow local environmental regulations, or you fall prey those uniformed devils! Mangoli leaves do wonders here, and be sure to check out clusters of red berries, rosemary, spruce, cypress, and cedar as well. Then tie your botanical elements carefully onto the gift, ready for dispatch. Try to think different this Christmas. Well, you can get a map of a place you have visited together, to revive the adventurous memories, for example. It creates a thoughtful touch for a friend who is reminded of a place they once visited. There are countless ideas to pick from. You just need to allow your creative juice flow slightly and create a thrilling Christmas gift. If you have a loved one that you have trouble buying gifts for, there are personalized engraved gifts to help you with your endeavor. It’s better if you can to find a perfect personalized gift, probably with a funny memory attached. Personalizing the gifts shows that you’re thinking about your specific loved one and that you want them to know your thoughts are with them in during the season. Nowadays, the internet can bring you a customized photo tag to your doorstep. You can design a unique chalkboard paper look on your wrapper. Yes, you can do it by layering a white marker on top of black a paper. Then arm it with a thoughtful message, or draw customized image or design for your loved ones. Many websites are now offering personalized gift wrappers. You can either customize it yourself or get an expert to do it, of course at a fee. Be sure to check that they have done the right thing before you end up paying extra bucks for rectification. As such, sending a gift with Christmas lights makes your loved ones feel valued and encouraged for their walk of faith. This is specifically fit for those friends whose Christmas cheer is measured by participation in religious activities. As the days leading up to Christmas, it sometimes feels like the holiday can’t come soon enough. So while you’re counting down to the season, get armed with these ideas on how to use custom stand up pouches for Christmas gift wrapping.